From fanatical fans to hardened haters, everyone wants to know what Tim Cook's been cooking. And this month, he's mostly been cooking... fingers! Yes, this week's big news is the launch of not one, but two new iPhones: the iPhone 5C, which is essentially an iPhone 5 in a brightly coloured plastic body, and the iPhone 5S, which introduces a new processor, a new co-processor and a fingerprint sensor. First up, the iPhone 5C. It's "a cheaper iPhone, not a cheap iPhone", says our smartphone sensei Gareth Beavis, and that distinction is important: "With the iPhone 5C Apple's made a phone that feels so different to the iPhone 5S that buyers won't feel like they're buying a rubbish version of that device." 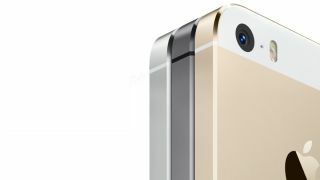 Where the iPhone 5C is fun and funky, the iPhone 5S promises a more sober experience: while it doesn't look dissimilar to the iPhone 5, it boasts a dramatically improved camera, a faster processor and a new "motion co-processor", the Apple M7. As Beavis explains, "The M7 chip essentially takes the place of the FuelBand from Nike, allowing the iPhone 5S to monitor the gyroscope, accelerometer and compass without disturbing the main chip." The iPhone 5S's fingerprint sensor has already led to excited newspaper headlines about stolen severed fingers and conspiracy theories about it sending your biometric data to the NSA (it doesn't: your print data is stored on the device, and it isn't uploaded to anything). Is it the future? David Nield reckons it just might be. "With its tight iTunes integration, you'll be able to get new apps, movies and music without having to enter your Apple password each time. Further down the line we might see Apple embedding the technology in iCloud, on your Mac or even in high street retail stores to let you prove you are who you say you are. From there, it's obvious how the principle could extend to banking or mobile payments (think Passbook, for example)." "The iPhone is a handset designed to give the best blend of power, sophistication and performance," Gareth says. "The iPhone 5S has taken that message and improved on it once more." If you'd like to know exactly how it compares to the iPhone 5C, Dean Evans has the details right here - and if you can't afford or don't want either, don't forget that you'll be able to give your iPhone or iPad a whole new lease of life on the September 18 when iOS 7 finally ships. We have all the details, of course, and you'll find them here. Apple wasn't the only news this week, although as ever it did dominate the headlines. We also saw a bunch of new PCs and ultra-portables unveiled at the IDF conference, and Intel showed off its latest, greatest Atom processors, also known as Bay Trail. As Dan Grabham explains, "Bay Trail will obviously slot in underneath the Haswell-generation Core i3, i5 and i7." Remember Yahoo? It might not have regained its crown as Queen of All Internets, but it's got a new logo and its user numbers are up 20% since July 2012. CEO Marissa Mayer is in it for the long haul: she reckons it'll take three or more years to get to "a positive place". It's always nice to end on a positive note, so let's give Yahoo a yahoo. * Fitzgerald actually wrote: "The test of a first-rate intelligence is the ability to hold two opposed ideas in the mind at the same time, and still retain the ability to function." We like our version better.